All these items come from two small contexts, near the centre of the battlefield. The field has been used for pasture and agriculture over the years. 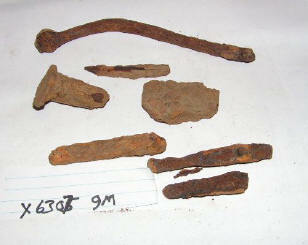 The items were found by YMDC team, on or near surface. 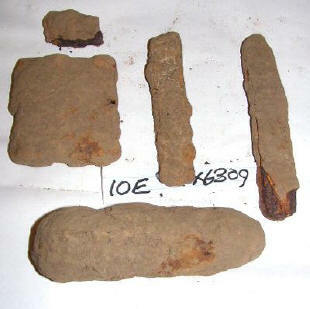 Two extensive areas of charcoal staining have been found using a soil auger 20m from one of the sites. A rather poor photo of a 'v' shaped profile. 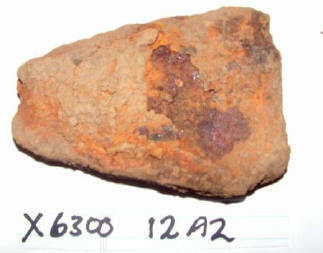 Many more items with a similar profile have been found. 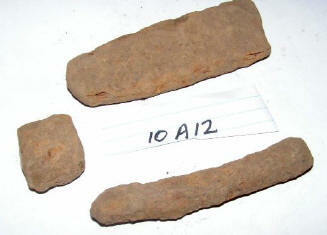 The suggestion is that these are some of the fragments that were due to be reprocessed. More billets. The oblong, or square-form billets are most common in the collection. 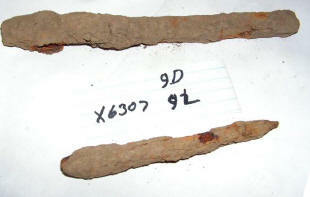 Possibly metal working tools found with the horde. Xray. 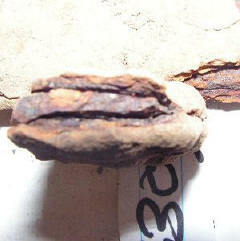 Two pieces that look like slag from the x-ray image.